Also see our Be a Delegate page. 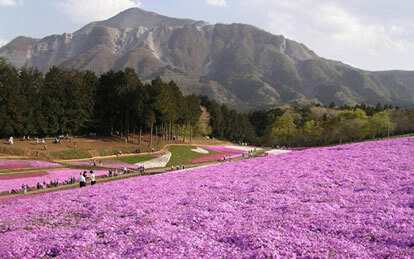 Chichibu City (Chichibu-shi) is located within the Chichibu "Region", itself located within the Saitama Prefecture of Japan. Chichibu is approximately 100 miles east of Tokyo. The Chichibu area is mountainous, not unlike the western portion of Contra Costa County. Mount Bukō is prominent in the landscape, as is Mount Diablo for Antioch and surrounding cities. A view of Mount Bukō from Chichibu. Although Chichibu area includes terraced farms, the area is not well suited to growing rice. For this reason, silkworm farming was a significant component of Chichibu commercial activity. The history of Chichibu city extends over a thousand years, including the development of copper mines in 708 c.e. Due to the commerce around copper mining, "Chichibu" referred both to the marketplace of the district as well as the town around Chichibu Shrine. The city's older name, Ōmiya ("big shrine"), was derived from that shrine. Chichibu's more recent history is similar to that of the Antioch area, where the coal mines south and west of what is now Antioch and Pittsburg were important to commercial and industrial development. Similar to the development of the San Francisco Bay Area and suburban encroachment into Contra Costa County, the rapid industrial expansion of the Tokyo metropolitan area after World War II. and the associated construction of modern transportation allowed farther commutes including from Chichibu. 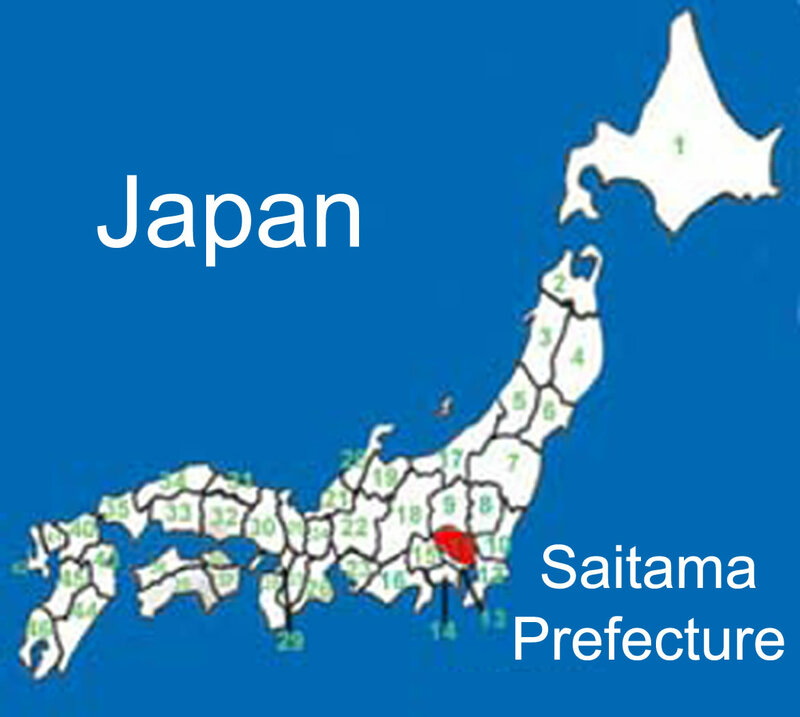 The lack of available land in Tokyo led to the rapid development of Saitama Prefecture (in which Chichibu is located), whose population has nearly tripled since 1960. Most of the cities in the prefecture are closely connected to downtown Tokyo by metropolitan rail, and operate largely as residential and commercial suburbs of Tokyo, just as Antioch and much of Contra Costa County serves as commercial suburbs and bedroom communities to the San Francisco/Oakland/San Jose metropolitan area. Many residents of Chichibu commute into Tokyo for their work. 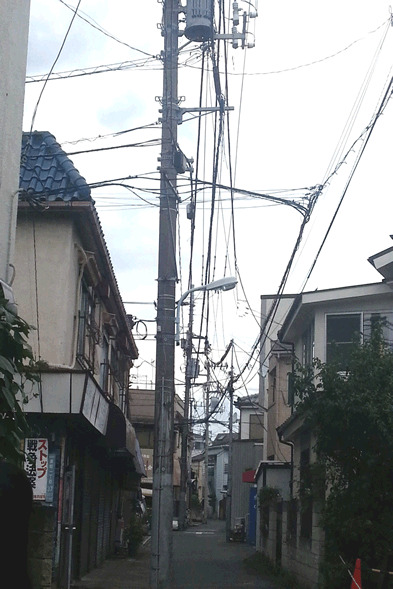 However, Chichibu has maintained some industrial activity. Chichibu Railway Station. Compare to Pittsburg BART station! Delegations are scheduled to coincide with the annual Mid-summer KAWASE Festival in Chichibu. 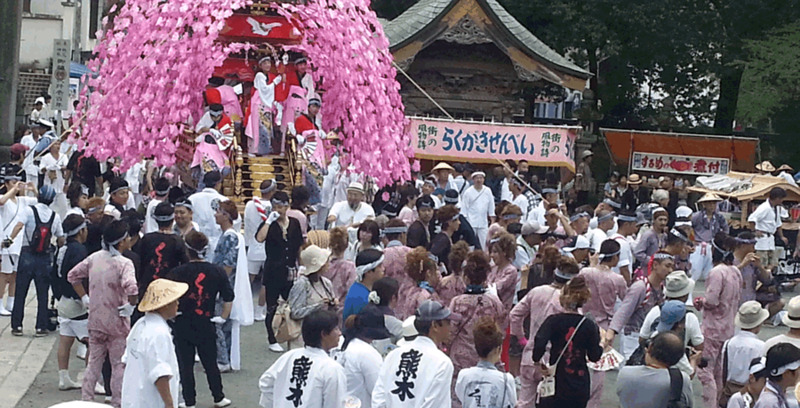 During this festival, the shrines of local Shinto deities are carried through Chichibu in processions. This shrine's procession is arduous in that it requires that the shrine be hand-carried in the river bed, against the current. Not visible in these photos are the hundreds of on-lookers on the bridge. Antioch-Chichibu Sister City Delegates assist pulling one of the shrines. 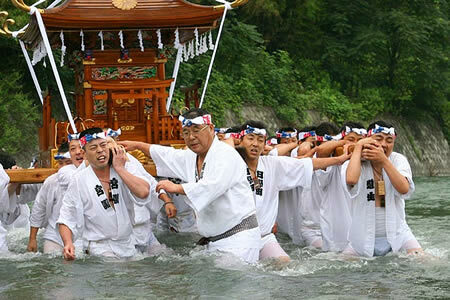 Men from the Chichibu Area carry the Shrine of the local Shinto Deity upstream approximately 1/4 Mile Through the Ari River in Chichibu. This is the main Chichibu shrine. 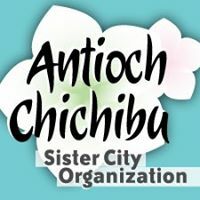 Mr. Ikeda is president of the Chichibu-Antioch Sister City Organization in Chichibu. Delegates to Chichibu may expect tours of Tokyo and surrounding areas of interest. Tokyo is a sprawling city, similar to Los Angeles. The population of Tokyo metropolitan area in 2014 was approximately 37 million, which constitutes approximately one-fifth of the population of Japan. 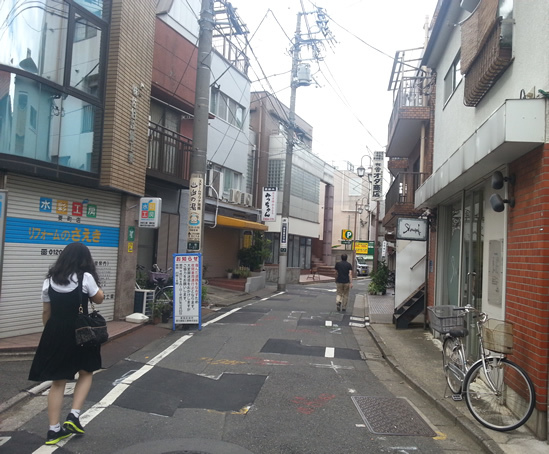 Typical Residential Side-Street in Tokyo. Can you find the trash on the streets? Check with your health insurer at least 30 days prior to departure. Your company may have partners they would recommend. Ask if you pay and get reimbursed or if co-pays apply in Japan. As of July 2015, Healthnet (Hills Group) will cover only emergency room treatment and expects the insured to pay for all services up-front and in full, and submit a request for reimbursement upon returning to the States. If you receive medical services for which you hope to be reimbursed by your own insurance company, then be sure to get a print out, in full detail, of the cost of any such services for refund application. You may also be interested in acquiring international health insurance. You can go through companies like TravelGuard (AIG), HTH Worldwide or get basic insurance through the Student ISIC card (student delegates). The airline attendants will pass out customs forms on the plane prior to arrival. Do not leave any portion blank, or your exit from the airport will be delayed. You will be asked for address and phone number of your host family. If you don't have your hosts phone number, use your own. Enter "none" for the question regarding "unaccompanied merchandise".This refers to items characterized as "luggage" but sent sent separately, such as sales samples, scientific equipment, or similar. Expect to pay for items with cash. However, your hosts may not allow you to pay for anything except souvenirs and gifts that you will take with you back to the US. You will pay conversion fee when you convert from US Dollars to Yen, and will pay that fee a second time when you convert un-spent yen to dollars. Get on the plane with a full bottle of water; either purchase a bottle or refill an empty bottle after passing security. You will no doubt be offered a dry, salty snack (such as pretzels) when you get on the plane, but will not be offered anything to drink until 45 minutes later. Japanese do not use credit cards as do we from the US and it can not be assumed that a credit card will be accepted for a purchase. It is possible that more costly items ($100 USD or so) can be purchased by credit card, especially at locations that cater to tourists. Expect your credit card company to charge an exchange fee in addition to the item charge, because your purchase will be in yen, your own payment will be in dollars, and your card company will charge for this conversion. Notify your credit card company that you will be out of the country. Without such a notice, your credit card company may interpret any charge in Japan as indication that your card has been hacked, and may block the use of your card. Japan is eight time zones different from California. Delegates have experienced difficulty in sleeping due to this time change and excitement due to being in Chichibu. One delegate reported that he was unable to sleep at all the first night, so that at the start of the first day in Chichibu, he had been without sleep for 32 hours. 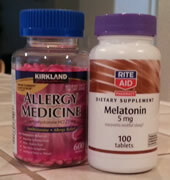 Do you sometimes need a sleep aids in Antioch such as melatonin or dyphenhydramine? Then bring them with you to Chichibu. Do not expect to be able to obtain these in Chichibu, or that your hosts will understand what you are requesting. Medications such as these, common in almost every drug and grocery store in Antioch, may not be available in Chichibu except with significant inconvenience to your hosts. Most areas have 3G service available, although your hosts may have wifi. If you bring a laptop and need internet service, be prepared to set up a local hot-spot using your phone. If so, try it to make sure it works in the States before getting to Chichibu.. Check with your carrier regarding roaming and other charges. Your host family may not have wifi. Be prepared to set up a local hot spot with your cell phone if you need internet connection for your laptop. Test your set-up before you leave the US. 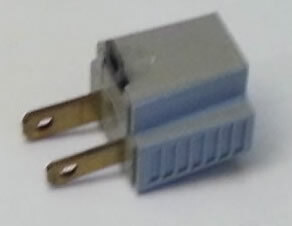 Most American two-prong electronic devices can be used without an adapter for voltage (110 v) or current frequency (50hz). 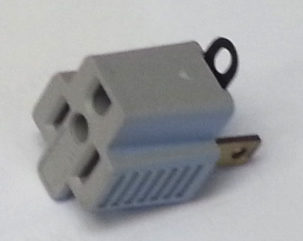 However, Three-prong cords, such as are common on our laptop chargers, will require an adapter. 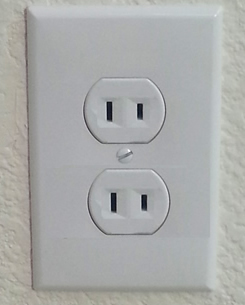 Check with your host family before you plug anything in to be polite. 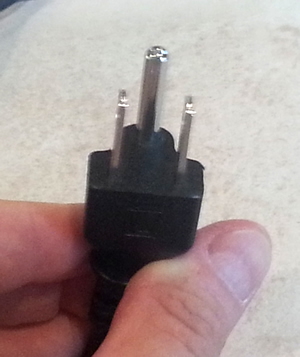 ...then you will need an adaptor like this. These are NOT common in Japan. Cell phones do not seem to charge as quickly in Japan, possibly due to the Japanese voltage, which is about 20% less than that in the US. Also, translator aps require significant power. 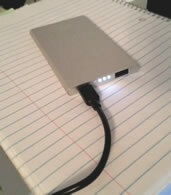 Previous delegates have found supplemental batteries very useful. At the conclusion of the ritual washing of the shrine, a delegate and a member of the delegate's host family were walking up from the river on a gravel truck path. A large cargo-carrying truck was parked mid-way on the path, pointed downhill. It was drizzling, and the truck windshield wipers were on. The delegate looked into the dark truck cab and did not see anyone at the wheel. Delegate and host family member meandered up the path, discussing the events of the day, in no hurry. Upon reaching the truck, the two walked to the side, so as to get around the truck. 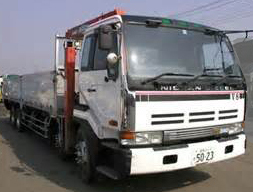 Immediately, the truck driver, who had been waiting in the cab but invisible to the walkers, put the truck into first gear, and moved the truck down the hill. The driver had been waiting patiently for the walkers to move to the side, without giving indication of his wait. Apparently, to give such indication would have been impolite. A member of the host family and a delegate were returning to the host family's home. The delegate and family member found that they were both heavy metal music fans. The delegate had some of this music on his phone, groups unfamiliar to the family member. 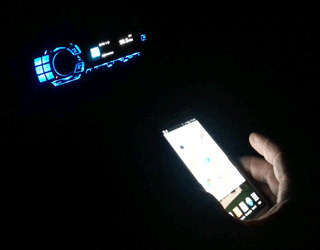 Upon reaching the members house, the delegates phone was connected to the car music system via bluetooth, so that music from the phone could be played over the car's music system. The family's house was in a wooded area such that the single house in sight was the family member's, approximately 100 feet away. No other houses were visible. The windows of the car were rolled up to conserve air conditioning. The family member put the music volume at 2.5 out of 10, hardly audible. The delegate asked why such low volume? After all, this was heavy metal. The family member answered, "Japan is a small country". A delegate and host family member visited the hillside park above Chichibu to see the city lights and listen to the Taiko drums of the festival. There were no park lights, but young people were present; they were playing on the park equipment (apparent by the sounds of sliding and laughter), holding hands, perhaps kissing in the darkness (who could tell?). 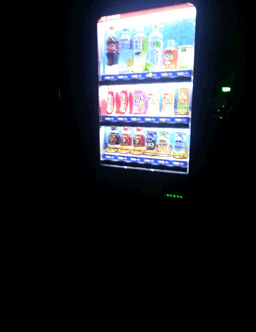 The single source of light at the park was a vending machine, which apparently stood unmolested in the years since it was installed. The delegate explained to the host that, in America, such a vending machine would be broken into within a week.The money would be gone, the contents would be gone, and only vending machine wreckage would remain. The host asked, "Why would Americans do that?" In response, the delegate asked, "why wouldn't the Japanese do that?" After a moment of thought, the host answered, "It just isn't done."